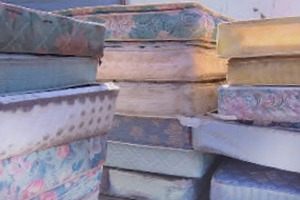 Under California’s new Mattress Recycling Program (called Bye Bye Mattress) mattress retailers are now collecting an $11 recycling fee on each mattress and box spring sold to California residents and businesses. The fees are used to fund mattress collection, transportation, and recycling services throughout the state, including a fund to help communities battle illegal dumping. The program is currently expanding its network of sites that offer free collection of mattresses. California residents, hotels, universities, hospitals, and military bases are all eligible to use the program. Head on over to our Mattress Recycling page to find your closest drop-off site. And keep checking back, as more sites will be added in the coming months.